It's early morning Saturday, windless and about 45 degrees with low, thin clouds blanketing the Madison River valley. Enough sunlight manages to get through the haze to cast shadows on the landscape, but I wouldn't say it's a bright day. We have spent the last three days fishing the river hard; me primarily with dries, and the others mostly with nymphs. Today is our last day on this 50 mile riffle, and we will soon be walking its banks and casting our flies to likely holding spots along the banks. It going to be a good day on my favorite river. 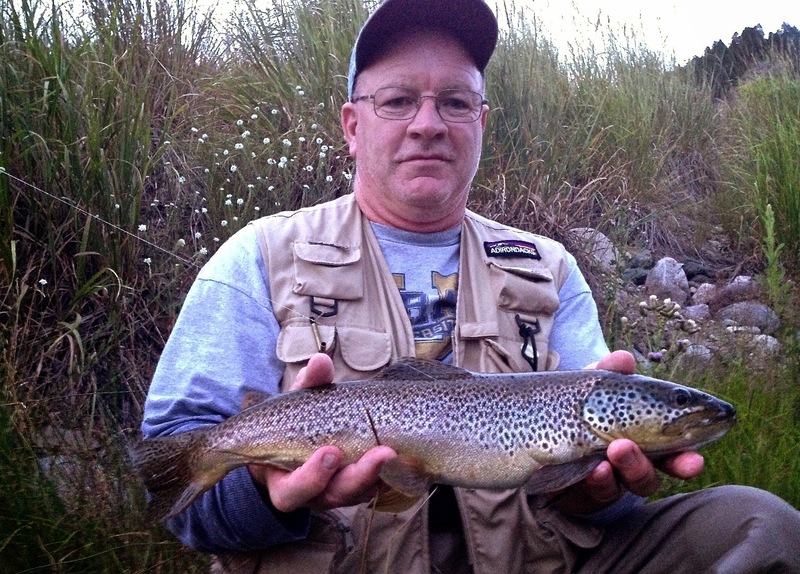 Two nights ago, Jim, caught this beautiful brown down near the West Fork, on a #16 Brown serendipity. And here Jim captures the grandeur of the mountains that protect the wide Madison Valley. 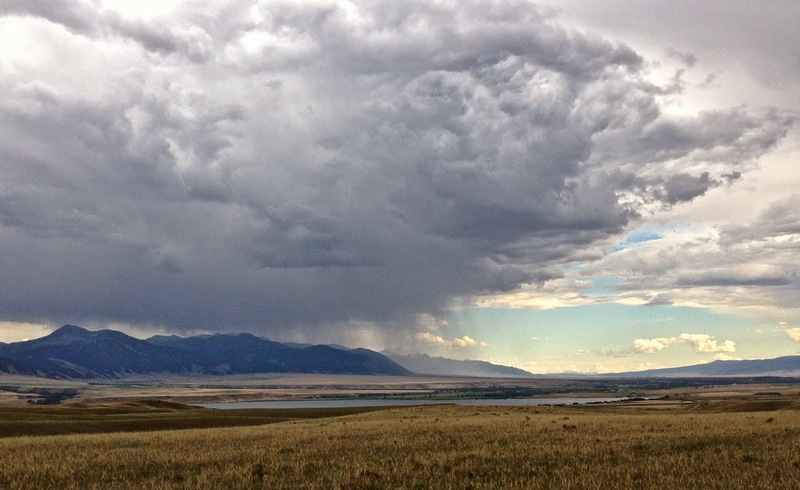 Finally, here's a great shot Steve Ohman took of a thunderstorm moving through the valley. I'll have more stories and photos for you next week, after my return to reality and a real computer. Writing on a Kindle is not the way to go, this post took much longer to write than I would have liked.